I bought this jacket a few years ago from Lauren Conrad’s Collection at Kohls and it has by far been one of the best clothing purchases I’ve EVER made!! Her clothing has such quality and I love the way this jacket fits. I love switching out new items in my closet and finding clothes you forgot you had, best feeling ever! These photos were taken on a fun date night with my amazing husband up Emmigration Canyon to Ruth’s diner. By the end of the week after we’ve both been working a ton, the last thing I want to do it cook freaking dinner. So it’s an excuse to go out and try some good food! Ruth’s Diner has such a fun atmosphere with the string lights and patio setting in the back, if you’re living in Utah you definitely need to make a stop there before it gets too chilly, the food is amazing and it’s just far enough up the canyon that you don’t feel like you’re in the city! I love this whole outfit and the lighting in these photos. One of my favorite things about this outfit is that it’s getting cold enough to swear SCARVES again! This crocheted scarf is from the Etsy shop ScarfGuru and the quality is amazing! This scarf fits amazing and can easily be dressed up or down for work, church, or school. I love the cute button detail that the shop owner Amanda added, it gives the scarf a fun accent. Not only is this scarf cute, it’s extremely comfortable and will keep you warm and cozy during the upcoming winter months! 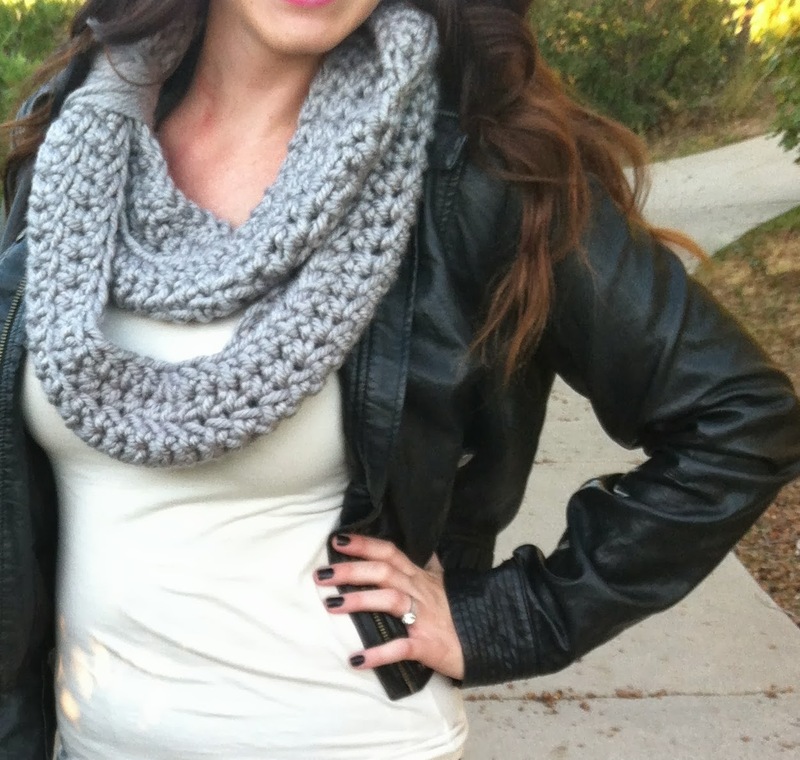 Head over to ScarfGuru right now and check out the amazing prizes she has on all of her infinity scarves! The quality of these scarves is incredible, something you're not going to find at Forever 21! I love handmade things and this scarf is no different! You look amazing, Courtney! I love everything about this outfit, especially the scarf and the boots! okay you are so cute and I need to know right now why I am JUST finding your blog?! So fun & I'm excited to follow you! You were my pick. love this amazing scarf. I featured you on my blog. Thanks for linking up with us this month!